1. About This School: 1.1 This school using St Johns Church infrastructure and running last 13 years, We met Mrs. D.Ponrani (Head Master) & had discussion. She is working in this school last 10years. 1.2 They have sing hall & divided as seven classes (LKG, UKG to 5th standard) rooms. Most of these school students coming from local slum only. So they have two category of the students, Paying and Free students. They are collecting fund from paying students this will be used for free student education. 1.3 Total Students: Currently 80 students studying in this school, Out of this 36 paying monthly fees and 44 students studying at free of cost. 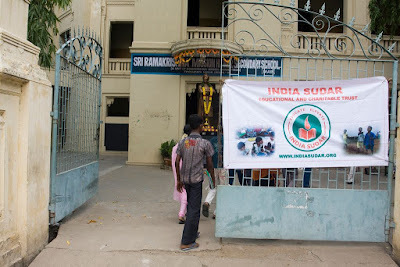 1.4 Midday meal: This school provide free mid day meal for free poor students(44 ) & spending Rs. 2720 per month. 1.5 Total Staff: They have 8 teachers, including head master and two non teaching staff. They are paying Rs.1,500 to 4000 as salary for this teachers. 1.6 Managing this expense: One source of income will be 36 students fees, Second they got sponsored for free students from local people. But still they are not received sponsored for all students in this school. 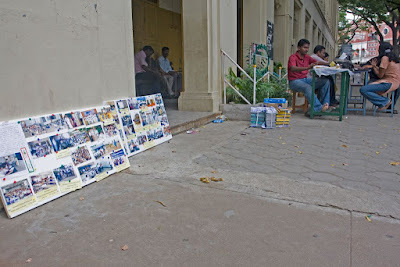 We have Conducted One day Knowledge Festival program on 11th October 2009 for the Homes student in and around Chennai at RamaKrishna Mission Hr Sec School, T.Nagar, Chennai. The Main objective of the program is to motivate the home students and create awareness among the students. 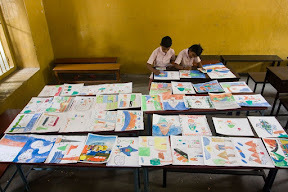 The students from 6thstandard to 9th standard are participated for the events. As part of the India Sudar Knowledge festival function K.Shanmugavadivu from Karur have given the speech on ‘You can achieve’ for the students. We have contacted the following programs on the Knowledge festival. We have contacted the two major events in India Sudar Knowledge festival. 2. India Sudar Best Teacher Awards. 8. 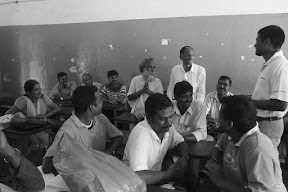 Government Children Home for Boys Royapuram. Kizhakku pathipagam conducted the Essay competition about the topic ‘India in next five years – My dream’ for the students who came for the India Sudar Knowledge festival events. They have given the books ‘History of India after Gandhi’ for those who participated in the Essay competition. The students are from government school not aware of the course/career available after 10th, 12th. There won’t be any guidance for them to choose the course that suited them and apply for the particular course/career. India Sudar team designed 18 pages of Career Guidance Book that gives detailed information about the career available for the students after 10th and 12th. The books describe the each course detailed information, eligibility criteria, duration, date of notification, etc. We have released the first copy of the India Sudar Career Guidance book in the function. The first copy the Career Guidance Book is released by retried Judge T V MASILAMANI and handover to M B NIRMAL Exnora Chief. India Sudar presented the awards for the people who mainly contributed for the Career Guidance project. We took more then a year to compile this book based on our experience and program. We have presented the awards to following persons for their contribution towards the Career Guidance Project. 3. Mr.K.BalaManikandan, India Sudar Trustee. We have presented the “India Sudar Best Teacher Award – 2008”. The aim of the award is to encourage the teacher for their work and motivate them to do the same. The award also encourages the other teacher to do more to achieve the same. We have short listed three teachers from India Sudar Learning Center and three teachers from Government school where India Sudar worked in TN..
3. Sai Vignesh & Dhanasekar – Nesakaram. First time we invited the Chief Guest for our function. We have invited the following three guests and ask them to given a speech. Program published in “Deccan Chronicle” News paper under “India Sudar – Youth come together to help underprivileged kids”. Refer attached PDF. OUR SINCEAR THANKS to all Sponsored who supported our program. India Sudar Best Teacher Awards. Government Children Home for Boys Royapuram. Partner with Kizhakku (Publisher): Kizhakku pathipagam conducted the Essay competition about the topic ‘India in next five years – My dream’ for the students who came for the India Sudar Knowledge festival events. They have given the books ‘History of India after Gandhi’ for those who participated in the Essay competition. Career path Guidance Book Release: The students are from government school not aware of the course/career available after 10th, 12th. There won’t be any guidance for them to choose the course that suited them and apply for the particular course/career. India Sudar team designed 18 pages of Career Guidance Book that gives detailed information about the career available for the students after 10th and 12th. The books describe the each course detailed information, eligibility criteria, duration, date of notification, etc. 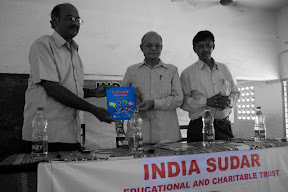 We have released the first copy of the India Sudar Career Guidance book in the function. Career Guidance Contribution Award: India Sudar presented the awards for the people who mainly contributed for the Career Guidance project. We took more then a year to compile this book based on our experience and program. We have presented the awards to following persons for their contribution towards the Career Guidance Project. Chief Guest: First time we invited the Chief Guest for our function. We have invited the following three guests and ask them to given a speech. Last Week on October 10th we have visited “Mandal Parishath Upper Primary School” at Papampeta in Anantapur District Andhra pradesh . Event was Grand success. Main reason for this project is to create awareness and importance of Education to stop drop outs. Event started with Parent interaction / counsel session planned for 1 hr but ran to 3 hrs, many parents discussed their problems and their needs . More than 150 parents attended this meeting and shared their views . Awareness session : Later chief guest Akula Subbanna ,Yeluru Venganna and Singamaneni Narayana counseled parents regarding importance of education and requested parents to send students to school and not to work. Many Parents busted into tears and promised that they will give 100% effort and support for their children Education. After hearing to them I strongly believe that this meeting has created great impact and acted like a catalyst in increasing their desperation towards their kids education. Post Lunch we have conducted games (running, skipping, balloon bursting, musical chair) and distributed prizes to students. Along with this we have given mementos to students who won first mark in quarterly exams. And at end of Event we have distributed note books , stationeries , chocolates to students . Children were very happy and enjoyed fun; few conveyed their hearty thanks for support. Requirements: for Most of parents tuition fee became burden, they have asked for tutors to take tuitions in evening. We are yet to plan and provide this. I have attached Project report expenditure sheet and News paper cutting in local news paper regarding our event. Papampeta in Anantapur District Andhra Pradesh . Last Week on October 10th we have visited “Mandal Parishath Upper Primary School” at Papampeta in Anantapur District Andhra pradesh . Event was Grand success. Main reason for this project is to create awareness and importance of Education to stop drop outs. Event started with Parent interaction / counsel session planned for 1 hr but ran to 3 hrs, many parents discussed their problems and their needs . More than 150 parents attended this meeting and shared their views .